Get ready to...eat! The Hot Dog Competition is back! It's time to begin ramping up for one of the best events of the year: The Friends of The FCI Hot Dog Competition. It's pretty exciting! Watch last year's student eating competition below. The event also includes an employee eating competition sponsored by Sabrett, a beverage competition (to go with a hot dog, of course! ), and a condiment competition judged by top NYC chefs. All money raised from the events goes to help promising students in financial distress. It's fun to have fun, but fun is sweetened even more when it is coupled with a good cause. So as far as we are concerned, this event is a plus plus. Over the next two weeks, three fantastic culinary students (Melissa McAllister, Grace Ports, and Saira Malhotra) will be covering this year's competitions—bringing you the day-of scoop, interviews with the judges and the contestants, and so much more! New dean David Kinch, chef/owner of Manresa in Los Gatos, California, showcased his West Coast cooking flair at The James Beard Foundation pop-up restaurant, JBF LTD, in Chelsea Market in New York City, as part of the celebrations in connection with the recent James Beard Award Ceremony. A JBF award winner himself (Best Chef: Pacific Region 2010), Kinch was invited to cook dinner for guests Wednesday, May 11th through Saturday, May 14th. Click through to The FCI homepage to watch a slide show of David in action, along with some shots of the swoon-worthy food and dinning scene. If you went, we'd love to hear what you liked. Leave us a comment. 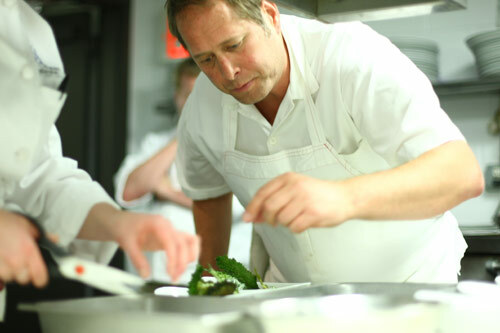 Emily Luchetti and David Kinch are two famed chefs we are adding to our list of deans that already includes Jacques Pépin, Alain Sailhac, André Soltner, Jacques Torres, Alan Richman, and Cesare Casella. 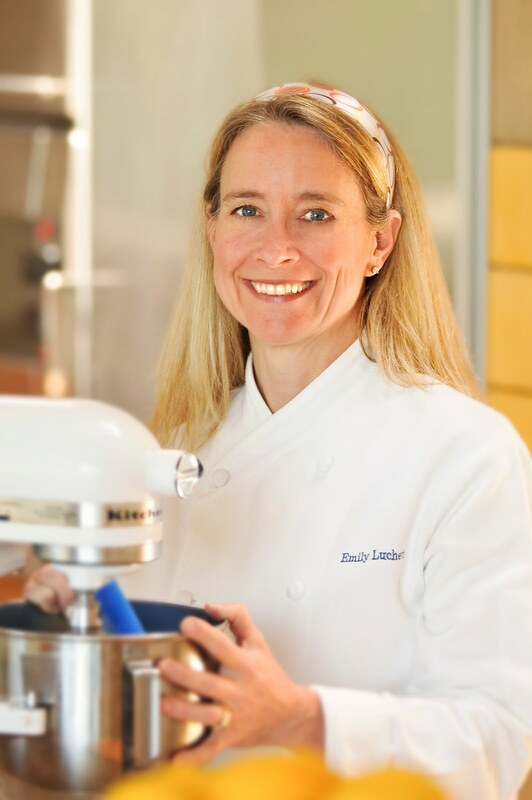 Emily Luchetti, a graduate of Denison University and the New York Restaurant School, has more than 20 years experience as an executive pastry chef. She has worked for many top restaurants, including eight years at Jeremiah Tower's Stars restaurant and Starbake, the retail bakery. She is currently the executive pastry chef at Farallon and Waterbar, both in San Francisco. Emily has written six cookbooks (including the just released The Fearless Baker, A Passion for Desserts, A Passion for Ice Cream, Stars Desserts, and Classic Stars Desserts). She is a James Beard Award winner and was named by San Francisco Chronicle on their list of "20 Visionary Chefs in the Bay Area," along with numerous other awards (too many to mention). Emily and her desserts have appeared on TV shows and in newspaper and magazine articles, and she enjoys sharing her love for baking and food with others. Visit Emily's website to see what ingredients and equipment she can't live without. Follow Emily on Twitter and on Facebook. David Kinch is the executive chef/owner of Manresa in Los Gatos, California. Influenced by the California Coast, his American-style haute cuisine is very fresh and ingredient-driven. In 2006, he formed an exclusive partnership with Cynthia Sandberg of Love Apple Farm in the Santa Cruz Mountains. The farm supplies Manresa with biodynamic vegetables and provisions year-round. He is a James Beard Award Winner for Best Chefs in America, and Manresa has been awarded two Michelin stars for four consecutive years. Read about what David is up to on Manresa in the Media. The school is celebrating the addition of our new deans by naming a pastry class and a culinary class in honor of each chef respectively. The Emily Luchetti Pastry Class will have the opportunity to work with the chef personally in a special session, and The David Kinch Culinary Class will go on a visit to Love Apple Farm with the chef. There are lots of exciting opportunities going on in June, so check out The FCI website for more details. Read the full announcement of our new deans on The FCI website.